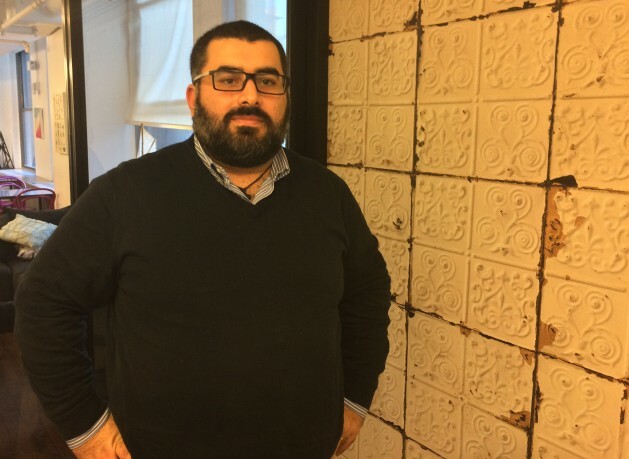 Fadi Hallisso is co-founder of Syrian NGO Basmeh and Zeitooneh. Credit: L Rowlands/IPS. NEW YORK, Feb 10 2017 (IPS) - Just 0.2 percent of humanitarian funding goes directly to local and national NGOs, according to a major UN review of humanitarian financing published ahead of the 2016 World Humanitarian Summit. Yet nearly one year after the summit, little has changed. International donors continue to overlook organisations with local roots and local knowledge, despite their often much lower operating costs. The High-Level Panel on Humanitarian Financing Report to the UN Secretary-General argued that responses to crises needed to be put back in the hands of the people most affected. To find out what it’s like for local organisations working in humanitarian settings, IPS spoke with Fadi Hallisso, a co-founder of Basmeh and Zeitooneh, a Syrian organisation that supports Syrian refugees in Lebanon and Turkey. Hallisso described how some of Basmeh and Zeitooneh’s programs have achieved success despite skepticism from big international donors. “We approached different international organisations and all of them were saying this is not feasible. We’ve done the market study. There is no market for these things,” said Hallisso. So Basmeh and Zeitooneh went to local businessmen and asked them to donate the funds to start the project instead. With these funds the workshop became successful, the products the refugees make are now exported to the United States and Europe. Only once the project was successful, says Halliso were international donors suddenly interested. However despite this lack of initial support from international donors Halliso says he has also witnessed international programs struggling to gain traction with locals. In one case, an international NGO that set up recreation centres didn’t know why people weren’t using the centres. “They asked for our help to recruit people and find them children to come,” said Halliso. He said that this example showed the importance of showing people solidarity by showing that you “understand their needs and are responding to them”. While not all local organisations have achieved success, Basmeh and Zeitooneh has now grown to have over 500 employees says Halliso. Yet although Basmeh and Zeitooneh has grown it still encounters challenges when dealing with international donors. These include long delays waiting for needs assessments to be carried out and a lack of interest in funding smaller projects. As Halliso explains, while donors may worry that local organisations don’t “have the financial systems in place, don’t have the policies and procedures that prevent corruption and stealing of money,” it is also difficult for local organisations to find support to develop these systems. Yet, it is not just major international donors who are unsure how to fund local organisations. Individual donors are also unsure how to support local organisations directly from overseas..
One way to address this gap, says Halliso is through the media. “I think our problem is the media in general around Syria is too much taken about covering the military action, about speaking about terrorism and ISIS. Very little we see stories about the successful examples of Syrians who are trying to help and trying to do something good on the ground,” he said. Halliso was in New York for meetings organised by the international organisation Oxfam, which has partnered with Basmeh and Zeitooneh, prior to the travel ban imposed on Syrians travelling to the United States.